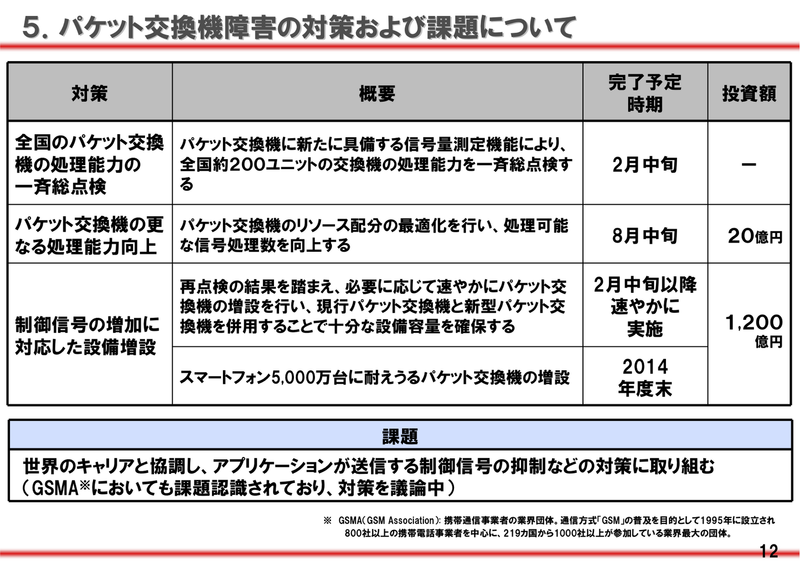 That breaks down to 122 billion yen on packet switching infrastructure and 42 billion yen on sp-mode by 2014. Recent network troubles have also caused problems for the six top Docomo execs. Each recently took a pay cut, with CEO Yamada leading the pack at 20% for 3 months. Sp-mode has been the subject of several embarrassing snafus, where email address were randomly swapped with other users. On January 25, the network pretty much failed in Tokyo. This seems to be partially due to VoIP. In fact, on the 24th, I started getting mails from friends asking me to install Naver's line, but I don't trust them with all those permissions, so I declined. 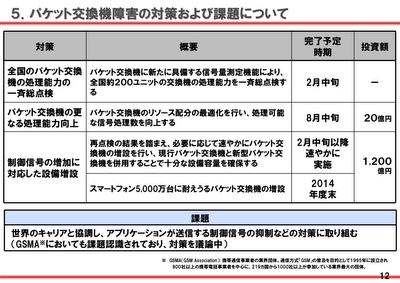 Fortunately for customers, Docomo does not intend to raise data prices accordingly. Having the most expensive prices in the world for data usage, I am _so_ grateful for them not raise prices.